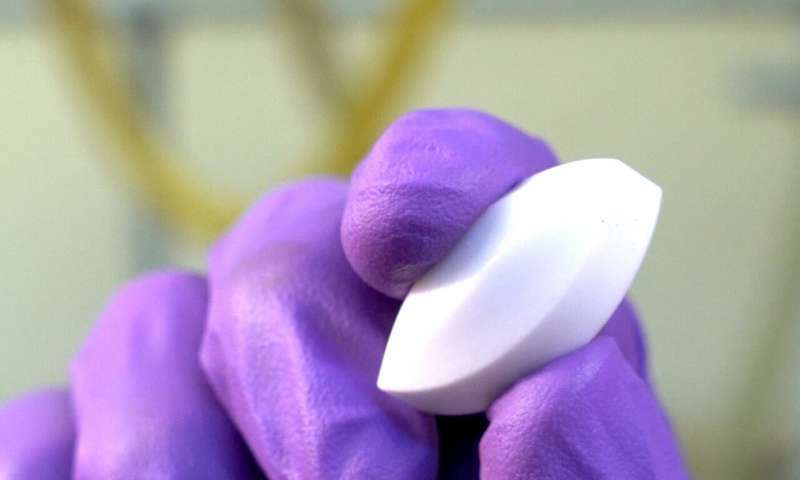 Rice University scientists have determined that stir bars made of PTFE, more commonly known as Teflon, can introduce errors into a standard lab reaction used to manipulate the properties of carbon or boron-nitride nanotubes. 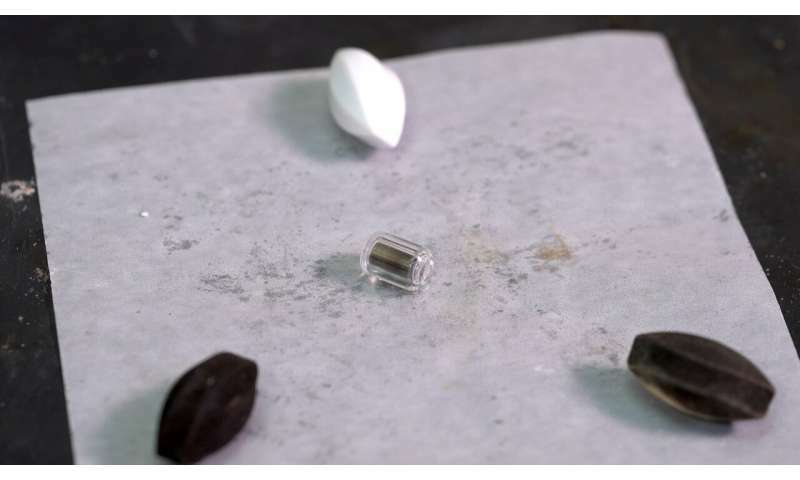 Stir bars are pellet-like rods of ferromagnetic metal covered in PTFE that sit in the bottom of a beaker and are turned by a rotating magnetic field. They allow a solution to be mixed in a closed flask without manual stirring. The Rice lab of Angel Martí published a paper in the American Chemical Society journal ACS Omega outlining what happens when PTFE stir bars are used to functionalize nanotubes through Billups-Birch reduction, a long-used reaction developed in part by Rice Professor Emeritus of Chemistry Edward Billups that frees electrons to bind with other atoms. Reduction is often used to make nanotubes more amenable to functionalization, the process of customizing them for applications by adding molecules like proteins. That can be as simple as dispersing nanotubes in a chemical bath laden with the molecules you want to add. Billups-Birch is one such method, a one-step process used to functionalize nanotubes with a variety of molecules, according to the researchers. When they used it to modify nanotubes of boron-nitride, the researchers were surprised to see their tubes turn gray, while the PTFE stir bars turned black. Standard thermogravimetric analysis, usually adequate to see evidence of functionalization, didn't see anything wrong—but the researchers did. "Aside from that, we couldn't get consistent results," Martí said. "Sometimes we would get very high functionalization—or apparent functionalization—and sometimes we wouldn't. That was really strange." They found the lithium in the ammonia-based solvent used in the Billups-Birch reaction was reacting with the white PTFE from the bars, turning them black. 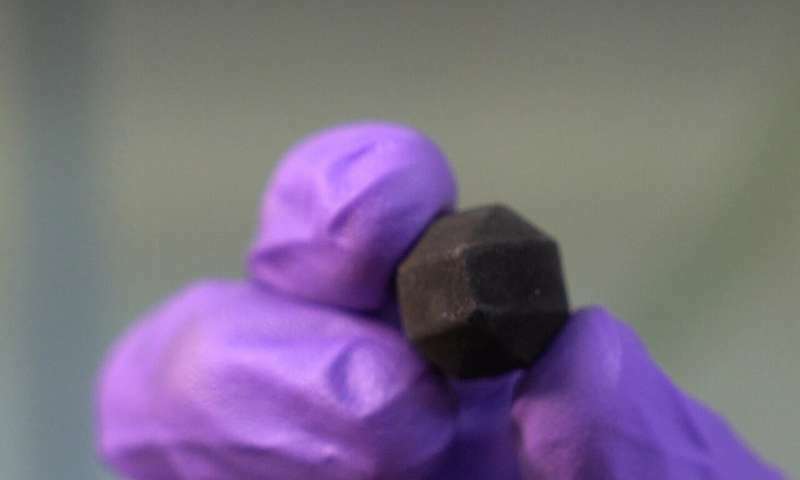 "Because carbon nanotubes are black, it would be easy to believe that nanotubes were depositing on the bars throughout the reaction," Martí said. "But that's not what happens. We found that in Billups-Birch conditions, the PTFE reacts. "Teflon doesn't generally react with anything," he said. "That's why it's used in stir bars, and in cookware. That's why it's also easy to overlook what we saw happening in the lab." Martí said search of the literature turned up nothing about avoiding PTFE in Billups-Birch. "That was odd, too," he said. "Maybe everybody else knows—but just in case we decided to explore the problem. That's why we decided to write a paper." The researchers suspect the unexpected reaction with Teflon is creating radicals that reduce the efficiency of the reaction and that can attack the boron-nitride or carbon nanotubes. In the meantime, their quick solution to the problem is perhaps the simplest. "Now we use glass-coated stir bars," Martí said. "Glass is completely inert. That gives us reproducibility and good functionalization." Seen same when doing dehydrohalogenation of 1-bromoadamantane with metallic lithium in THF. Brown/black stir bar did not affect the yield, tho. Sounds like it's the lithium, then.